A gentleman who is battling cancer was put on the meals as well as his wife who is his caregiver. 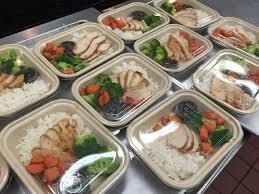 His wife said the meals really help her and her husband because they have at least one balanced meal a day, 5 days per week that she can count on and relieve her from cooking. It also gives him and her the nutrition from a meal already prepared for his illness and a respite for her. They were very thankful for this program.